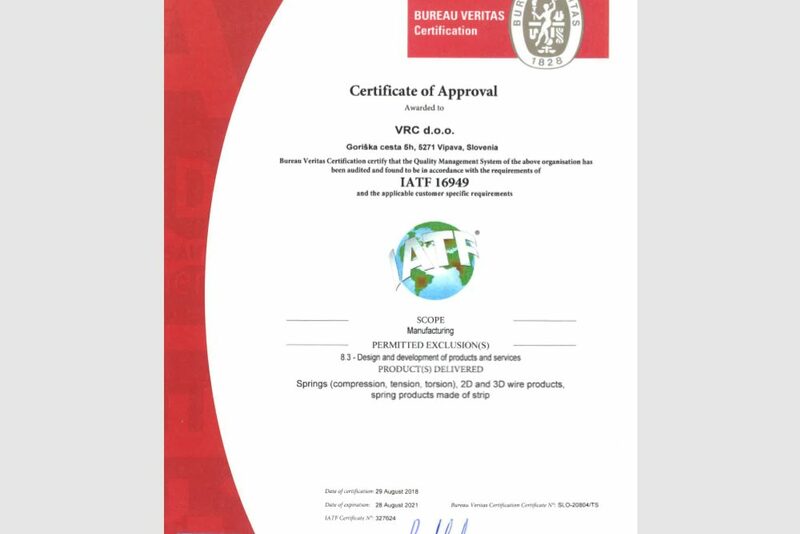 We gladly announce that we acquired a quality certificate for the automotive industry IATF 16949. In our company we constantly strive for the quality of products and processes. For this purpose, we implemented the ISO 9001 quality system at the end of 2002. In 2015, we acquired a quality certificate for the automotive industry ISO TS 16949, which was replaced by the IATF 16949 certificate this year.